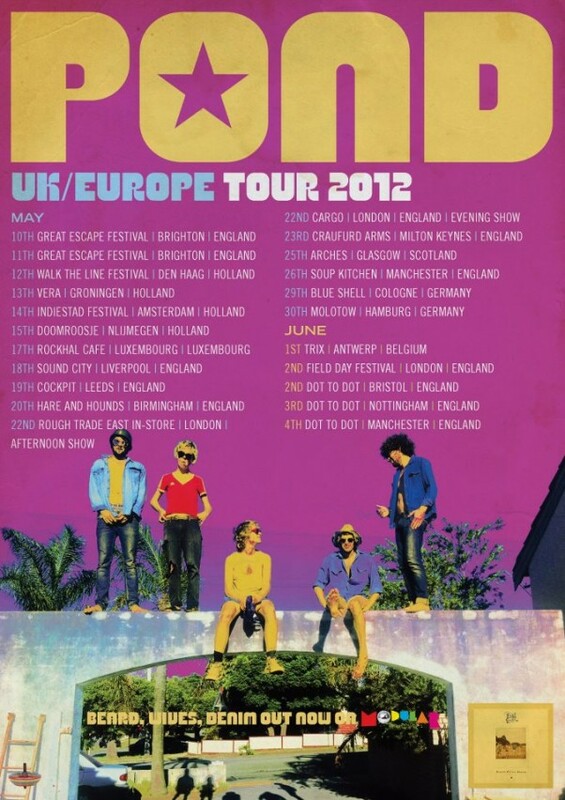 My new favorite Aussie band, POND, just blew through their US tour and is kicking off their European leg tonight. In celebration, they released a cover of Smokey Robinson’s “Tears of a Clown”. Their album “Beard, Wives and Denim” is out now and encourage you check it out! Featuring two of the members of Tame Impala, you’re sure to dig this off shoot if that kind of psychedelic goodness is up your alley. This entry was posted in Spanking New Music and tagged beard wives denim, cover, POND, tears of a clown. Bookmark the permalink.